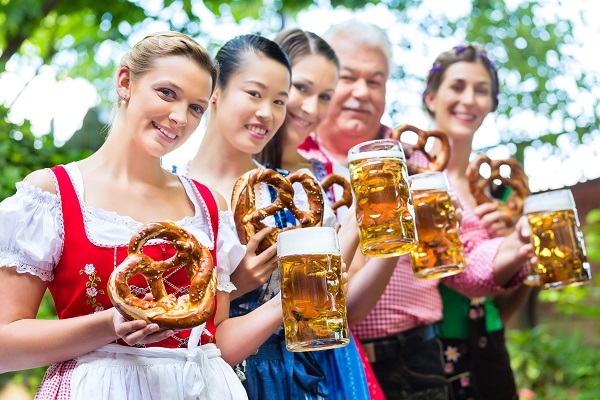 Most people have heard of Oktoberfest, the German beer festival which is held in Munich each year for 16 days (end of September to the beginning of October), but few may have heard that there is an alternative beer festival available, namely the Qingdao International Beer Festival. The Qingdao International Beer Festival is basically China’s take on Oktoberfest, and runs throughout the month of August each year. The festival is roughly the size of 100 football pitches, and over 4 million people attend each year (possibly making it the largest unknown festival ever). Qingdao is actually a port city, (around an hour and a half flight from Beijing,) and over a century ago German settlers founded its famous brewery, which makes pilsner-style lager called Tsingtao from rice and spring water. You may not think that China is famed for its beer, but Tsingtao is now the country’s biggest consumer export, and the second most popular beer in the world! Attending the Qingdao International Beer Festival involves dressing up in lederhosen, drinking steins of beer, watching fire-breathing circus performers, enjoying funfair style rides, browsing luxury car exhibits and an open air theatre. One thing to remember when visiting any festival is ‘everything in moderation’, especially when drinking abroad, as alcohol can be stronger, measures larger, and the effects can take effect quicker in the heat or at altitude. Many people don’t realise that their travel insurance won’t pay out for holiday disasters caused by intoxication, so it is important that you pace yourself and stay safe when drinking abroad.